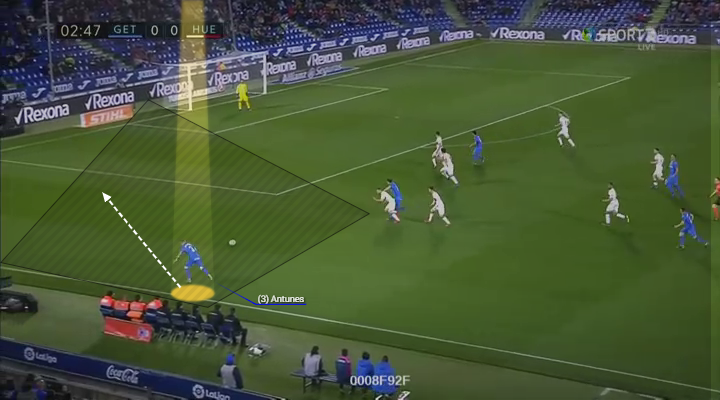 Currently occupying the coveted fourth and final Champions League spot in La Liga, Getafe have been one of the surprises of the season in European football. Always hard to beat, their meticulous and dedicated manager Jose Bordalas, whose team’s so well drilled and organised, deserves tremendous credit for galvanizing this team and building on their eighth place finish from last season. While there’s been many fantastic contributors across the board in all areas, most notably from Djene Dakonam, Jorge Molina, Nemanja Maksimovic, David Soria, Leandro Cabrera, Damian Suarez, Jaime Mata, Mauro Arambarri and Vitorino Antunes, the last man on this list certainly deserves his share of the plaudits. With European qualification in some form looking like being achieved, the hard nosed and well travelled Antunes will be crucial if they’re to make the Champions League or the Europa League. As one of only two men in Getafe’s squad with Champions League experience, alongside former Arsenal man Mathieu Flamini, his experience will be vital for his team. Having made his Champions League debut with AS Roma back in 2007 vs. Manchester United, he also boasts UCL experience with Malaga and Dynamo Kyiv, which should hold him in good stead to pass on his knowledge to his coach and colleagues. A massive asset to Bordalas’ demands, his work on both sides of the ball has been hugely important towards his team’s remarkable success. Adhering brilliantly to his tactician’s defensive framework, the Portuguese fullback has been a disciplined, formidable presence within the Deep Blues’ backline. 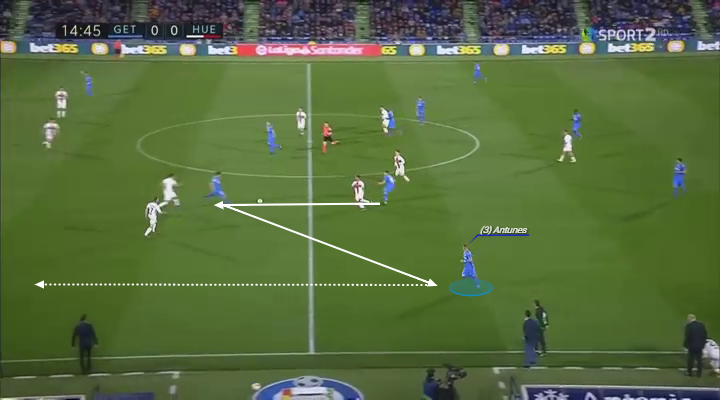 Coordinating his movement superbly with his defenders, Antunes has worked cohesively to ensure he shifts over in unison, remains horizontally compact and steps up and back in line with his colleagues to maintain their structure. Holding the third best defensive record in La Liga (only conceding 24 goals), and a better defensive record than both Barcelona and Real Madrid, Antunes’ role in the collective has been crucial. Furthermore, he also undertakes his individual assignments with intent, for he’s never one to give his man an easy touch. Strong in the tackle, he backs himself to step out and win back possession, as his decision making when to do so has usually been spot on. A tidy reader of the play, he’s shown how significant this can be, for this has allowed him to respond rapidly to pressing triggers and when counter-pressing to pounce on his opponents to either force a turnover or unclean action. Hard to beat in 1v1 situations, the stocky and speedy left-back handles himself well in such scenarios. Whether tracking runs in behind, applying his interventions, physically imposing himself on his foe with his strength or in his manful aerial duels, the diminutive Antunes holds his own. Meanwhile, in terms of his offensive output, the 31-year-old’s energy and enthusiasm has been a great source of inspiration. Always keen to bomb up the touchline whenever the opportunity presents itself, he does so with gusto. Possessing top acceleration, crisp control and a nice array of moves to unbalance his marker, he relishes being isolated vs. his tracker. Factor in his low centre of gravity and aforementioned strength, and he’s certainly a tough customer to face off with. Moreover, his crossing, cutbacks and set piece taking qualities warrant special attention, for he fires in his deliveries with precision and ideal weighing to give his teammates every chances of connecting with his balls into the box. By the numbers, his 3.2 tackles per game, 5.9 ball recoveries pg, 5.54 interceptions pg, one dribble pg, 0.7 key passes pg and the fact he’s completed the most crosses of any Getafe player (with 87) aptly demonstrate his all-round impact. 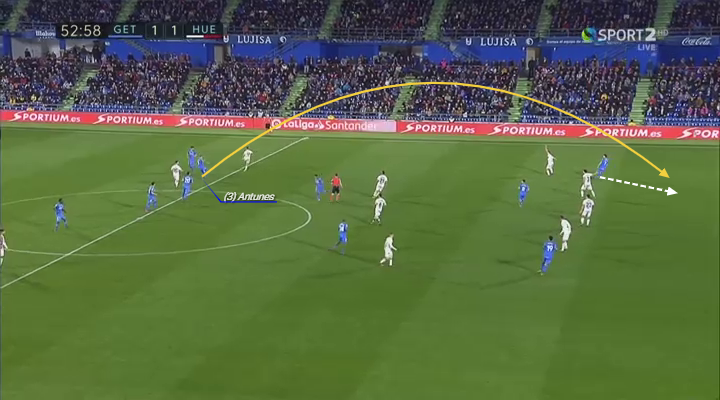 As part of this strong willed, defiant Getafe side, the experience and quality of Antunes will be absolutely crucial in their quest for Champions League qualification, as his leadership and guidance should prove key in helping them keep focused. Whether or not they fulfill this ambition, Antunes and co certainly deserve tremendous praise for the resolute way they’ve gone about their work and achieved some amazing results along the way – even if their style isn’t to everyone’s liking. With 10 matches left to go, including fixtures against Real Madrid, Barcelona and Sevilla, the run home certainly won’t be easy, but this fearless Getafe outfit, who Antunes embodies so well, will relish the challenge and fight right until the end. How will things work out for Vitorino Antunes and the rest of Getafe as the La Liga comes to an end? Support Antunes when placing your futbol bets at Eastbridge brokerage’s Skype Betting service or through VOdds betting platform!